Created by independent agency Concept Farm, the “Authentic Aruba” campaign launched on 9/26 and highlights one of the destinations’ strongest reasons for visiting – its warm and sunny people. 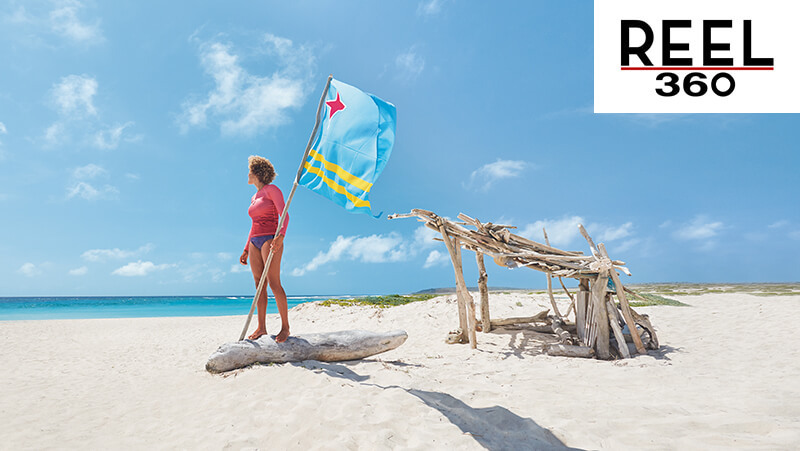 The integrated campaign features dozens of Arubans, making a human connection between “One happy island” and its visitors – a connection today’s experiential traveler craves. In addition, the campaign will be featured in an installation throughout the Metro North platforms at Grand Central Station from 10/29-11/24, including more than 140 panels featuring a sweepstakes to win a trip to Aruba with a stay at the Ritz-Carlton. The installation is specifically tailored to the environment using headlines such as “Take The Express to Local Aruba,” “Take a paddle board not a train” and others. Concept Farm’s work for Aruba has led to record-setting visitation increases over the last 5 years with a 10% increase in 2017 alone. North American visitation has grown to nearly 700k per year and Aruba has set the pace for the Caribbean with nearly 85% hotel occupancy rates. Commensurate with those big numbers comes an increase in on-island spend, which is critical as Aruba is the most tourism dependent island nation in the Caribbean. Earlier this year Aruba and Concept Farm won 11 HSMAI Adrian Awards – the most for any destination – for best use of content strategy, virtual reality, social media, video content and the prestigious Pioneer of Visual Storytelling honor. Additional content will include short, medium and long format videos, GIFs and interactive content across TV, digital, social, native, influencers, print, OOH and trade shows. Again, I want to pack my bags. Right Now.